Astronomers today (4 April) announce one of the largest 3D maps of the infant Universe, in a presentation at the European Week of Astronomy and Space Science in Liverpool. 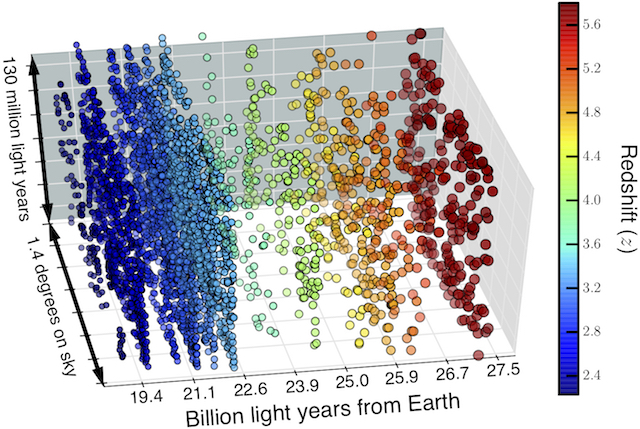 A team led by Dr David Sobral of Lancaster University made the chart using the Subaru telescope in Hawaii and the Isaac Newton telescope in the Canary Islands. 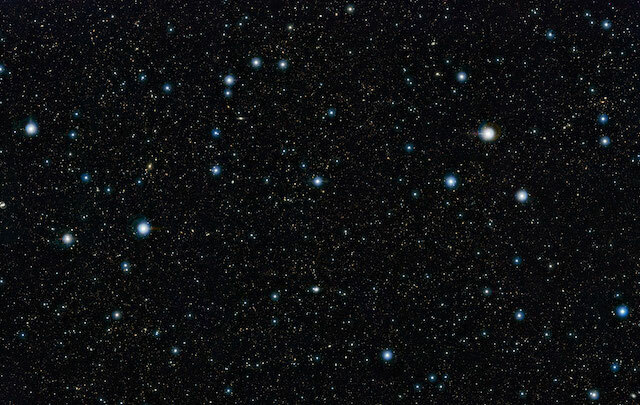 Looking back in time to 16 different epochs between 11 and 13 billion years ago, the researchers discovered almost 4000 early galaxies, many of which will have evolved into galaxies like our own Milky Way. This work appears in “Slicing COSMOS with SC4K: the evolution of typical Lyα emitters and the Lyα escape fraction from z~2to z~6”, David Sobral, Sérgio Santos, Jorryt Matthee, Ana Paulino-Afonso, Bruno Ribeiro, João Calhau, Ali Khostovan, Monthly Notices of the Royal Astronomical Society, in press. “On the UV compactness and morphologies of typical Lyman-α emitters from z ∼ 2 to z ∼ 6”, Ana Paulino-Afonso, David Sobral, Bruno Ribeiro, Jorryt Matthee, Sérgio Santos, João Calhau, Alex Forshaw, Andrea Johnson, Joanna Merrick, Sara Pérez and Oliver Sheldon, Monthly Notices of the Royal Astronomical Society, in press.